« Elsi Vassdal Ellis: What if it happened here? 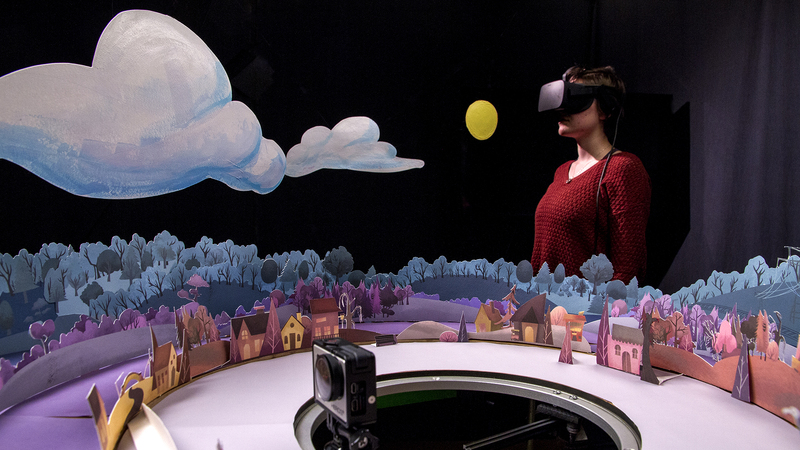 Paper Town VR is an interactive art installation that immerses the user in a miniature 360° physical environment that can be experienced remotely through WebVR. The integral part of this project is a handcrafted artwork that adds a human touch to the experience. Utilizing a motorized camera as a scaled-down vantage point, the user can observe the scenery and goings-on of a tiny two-dimensional village as if it existed at a human scale. We created an even greater illusion of depth using warmer, more saturated colors to make objects come forward and cooler, more muted colors fade them back. 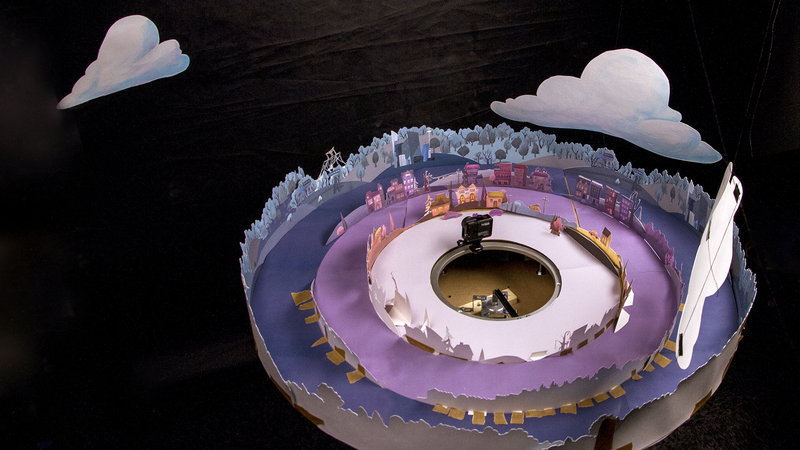 Inspired by the 1937 debut of the Disney Multi-Plane Camera, Paper Town VR enlists the effect of motion parallax to add spatial realism to the captured environment. This allows the viewer to use their natural perception of space to more intuitively understand the layout of the environment. 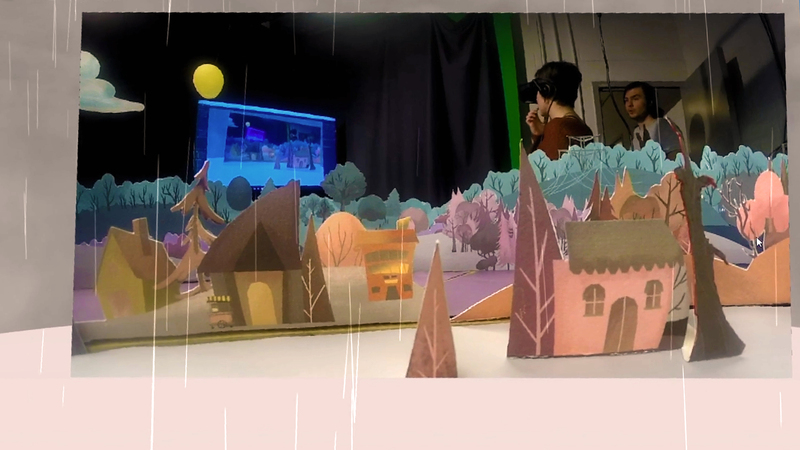 Paper Town VR also opens up possibilities for a variety of hybrid and augmented realities, such as overlaying weather effects into the digital viewing space. Finally, since the video stream is live, it provides the opportunity to be used as a live set – objects or characters can be added to the set to appear to the viewer in real time.